The House of Representatives’ Select Committee on Benghazi Chairman Trey Gowdy, R-South Carolina, announced the private testimony of additional witnesses including the anonymous intelligence source who is expected to contribute important information and confirmation already garnered by House investigators. Former Navy SEALs working as CIA contractors in Libya — Ty Woods and Glen Doherty — died in Benghazi, Libya on September 12, 2012 during the US Embassy compound attack by jihadists. “Much is owed the men who sacrificed their all at Benghazi. This is especially the case concerning uncovering the truth in getting to the answers to the critical questions of the families of the four men killed in a 13-hour battle at a U.S. diplomatic mission in arquably Libya’s most dangerous city,” according to Special Operations Speaks, a veteran’s group for former Army Green Berets, Navy SEALs, and other elite warfighters. 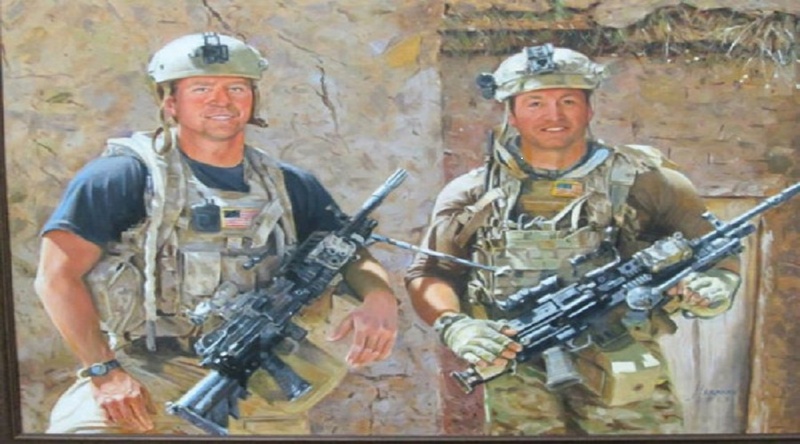 “It is our absolute intent to leave no stone unturned as we seek to uncover the truth concerning the cover-ups and lies surrounding the national tragedy of Benghazi that occurred on Sept 11, 2012, or any other pertinent matter that affects U.S. national security and the well-being of our great nation,” officials from Special Operations Speaks stated. “Our committee continues to break an immense amount of new ground as we compile the most comprehensive accounting of what happened before, during and after the terrorist attacks in Benghazi. As we approach our 80th witness interview and work to release our report and recommendations before summer, it’s time for the administration to turn over the records this committee requested nearly a year ago,” said Rep. Gowdy. “The American people and the families of the victims deserve the truth, and I’m confident that the value and fairness of our investigation will be abundantly clear to everyone when they see the report for themselves,” Gowdy said on Monday. The following witnesses will be questioned in private and bring the total number of witnesses interviewed to 79, including 62 who had never before been interviewed by a congressional committee. This schedule is not comprehensive and is subject to change. Finally, on Friday, March 4, 2016, Susan Curley, Managing Director of the State Department’s Office of Management Policy, Rightsizing and Innovation, will testify. Investigators from a number of organizations have learned that former Secretary of State Hillary Clinton’s unsecured State Department communications on her private email server contained details about a Central Intelligence Agency informant in Afghanistan, endangering the asset — who was later killed by the Taliban — and hampering future efforts to gain valuable human intelligence in the fight against terror. “This is just one example of the undisclosed top secret information contained on 22 of Hillary Clinton’s emails withheld from the public — the kind of leak even Barack Obama called ‘presumed to cause damage to the national security,’ said former Navy Seal Scott Taylor, the president of the Special Operations Education Fund. “As the details continue to emerge, OPSEC is determined to sustain our fight to see that Hillary Clinton is held accountable for her misdeeds,” he added. Lee, it’s a sign of the times, I guess. You and I recognize two criminals when we see them. Unfortunately, most Americans are dupes for conmen. Conmen always make their “marks” think they’re going to end up ripping off money or property when it’s they are ripped off. The biggest flim-flam man in political history was Bill Clinton. He conned a nation and they loved him for it.